Visit marvelous UNESCO-listed shrines and temples around Nikko and Kinugawa with this city pass that's valid for 2 days. Take advantage of unlimited rides on a sightseeing bus to visit sites like the Toshogu Shrine and Rinnoji Temple, and enjoy discounts on Nikko-area souvenirs and attractions. Pick up your City Area Pass in Asakusa , then hop aboard a Tobu train bound for Shimo-Imaichi and the Tobu-Nikko Station. Known as a center of Shinto and Buddhist mountain worship, Nikko has a number of beautiful shrines and temples that are lauded as UNESCO World Heritage sites. 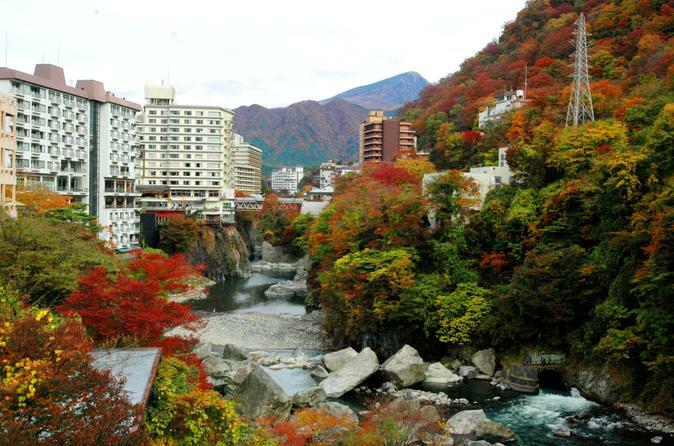 Your pass grants you discounts at a number of other Nikko and Kinugawa attractions that enlighten you to the history, culture, and nature of the area. Pick up your train ticket at Tobu Tourist Information Center Asakusa where located in Tobu Asakusa St. It takes only 1 hours and 50 min approx. from Asakusa to Nikko and 2 hours and 10 min approx. from Asakusa to Kinugawa Onsen with limited express. With this pass, you can enjoy a number of beautiful shrines and temples that are lauded as UNESCO World Heritage sites in Nikko. Hop aboard a bus and head to Toshogu Shrine, the lavish final resting place of Tokugawa Ieyasu, the shogun who unified Japan and established the Tokugawa Shogunate. Also visit Rinnoji Temple, which was founded by the Buddhist monk who introduced Buddhism to Nikko in the 8th century, and Futarasan Shrine, dating back to the year 767. Free limited bus ride fee is also included. Between incredible shrines and temples, feel free to relax at the hot springs of Kinugawa Onsen, or indulge in some retail therapy with discounts on souvenirs. Your pass grants you discounts at a number of other Nikko and Kinugawa attractions that enlighten you to the history, culture, and nature of the area. © 2019 Hello Tokyo - All Rights Reserved.